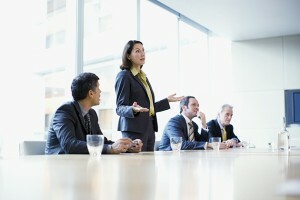 The issue of women in leadership has received a great deal of media attention recently. Talk abounds, for example, around the question of whether Hillary Clinton is a presidential candidate or a woman running for president. Should she play the gender card? Would Donald Trump have reacted to the GOP debate moderator in the same way if Megyn Kelly had been Mike Kelly? CEOs, television-debate moderators, and presidential candidates are all women in the limelight, but what happens behind the scenes? What is the role of women in leadership positions that are less visible, such as being on corporate boards? Unlike a shark attack, women on corporate boards are more like the elusive Great White. We know they are there, lurking under the waters, part of the inner workings of many corporate machines, but are there many of them or only a few? Are they found in groupings or do they work alone? Because we so rarely see them, we keep searching, with the hope of better understanding who they are and how they got there, and which organizations have women chairing key board committees. Most leaders, managers, and professionals do not understand at all how and why women aren’t advancing in their organizations, according to Kathy Caprino, an executive women’s leadership coach, in a piece she wrote for Forbes.com last year. She shared with me that, when she asked three heads of human resources working for a large international information services organization in three different countries, “Where in the pipeline are your emerging female leaders falling out, and why is it happening?’’, there was dead silence. No response. So many organizations can’t seem to figure out how and why their existing talent pipelines are not effective at supporting women’s advancement, or from where the next generation of senior women leaders is going to emerge. Can this, in part, be attributed to the fact that so few corporate board positions are filled by women? 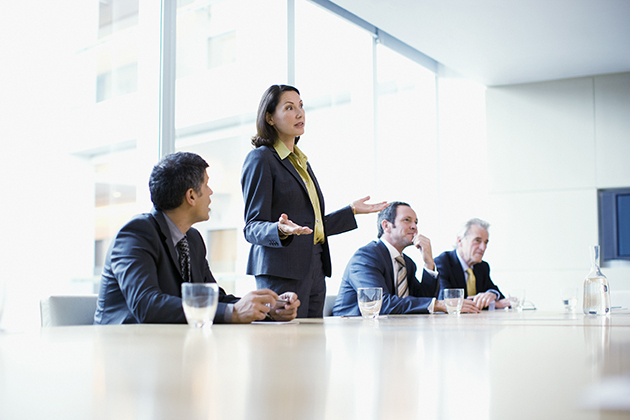 According to Catalyst, only 16.9 percent of U.S. corporate board seats are filled by women. In this statistic, the United States ranks behind the likes of Norway, Sweden, Finland, France, Great Britain, and South Africa. Germany, where 14.1 percent of board seats are currently held by women, has mandated that by next year, 30 percent of supervisory seats nationally must be filled by women. Norway, Spain, France, and Iceland already have quotas set at 40 percent (which only Norway has achieved to date, with 40.5 percent). Great Britain has a voluntary quota – more of a ‘gentlemen’s agreement’ if you like – called the 30-percent club, which has been in place since 2010; yet 2015 numbers stand at only 20.7 percent. The debate as to why having women on corporate boards is beneficial for business gets surprisingly contentious. There are those who argue, and have numbers to support, that the importance of women is good for bottom-line business results, while others argue that the benefits are rooted in having organizations that engage the entire work-age population with more family-friendly policies. Management professors further argue that a diverse leadership team will result in better conflict resolution, decision-making, creativity, and innovation. One of the strongest arguments to be raised, however, is that of unconscious bias, meaning that people are not biased against women holding these roles, but they need to see more of them in these roles to “believe” it is possible. Another reason for the absence of women on boards that receives less attention is the composition and size of boards themselves, and the age and term limits placed on board members. Many boards have fixed numbers of members who, once elected can remain in office until the age of 75, so that turnover takes a long time. This makes sense, as boards want people to stay. They also want to have “seasoned veterans” as members; but where does this leave women? Many women today who are in their 60s – prime board member age – do not have experience as CEOs of public companies. Look at the data from 10 to 20 years ago. What this means is that the pool of board candidates is a small, “closed shop’’ of tightly networked individuals. Then how do women break in? Beyond political capital and CEO experience, people get asked to join a corporate board based on their functional expertise. Boards need people with specific skills such as finance, compensation, risk, turnaround, or governance. Boards of public companies are hugely regulated by Dodd-Frank and Sarbanes-Oxley, so they need members with the expertise to advise the CEO, deal with regulators, manage rogue shareholders, and chair critical committees. Women with such functional expertise are prime candidates to join boards, though they need to network and market themselves for these positions. Here, research tells us that many women are potentially at a disadvantage, taking generalist, middle-management positions too early in their careers, and thus never gaining the functional expertise necessary to rise to the top of a company or to be asked to join a corporate board. In my work at UConn developing women to lead, I’ve seen that women are often more adept at dealing with diverse individuals at work, arriving at consensus, and enabling a group to work together – but it is precisely these skills that can hold them back from leading and managing at higher levels. In fact, it behooves women to say “No” to lower-level management positions early in their careers, and say “No” to the lateral move to help a department that is struggling to get back on its feet. By developing functional expertise, women will place themselves in a position to be part of the network that is the next wave of corporate board members. And in doing so, become visible members of what today still looks like a mostly male-dominated club. For further specific strategies to encourage and prepare women for leadership roles, join the conversation at a Sept. 16 forum, Women in the Corporate Boardroom: A Business Imperative for American Companies, hosted by Connecticut Treasurer Denise Nappier and the University of Connecticut, and moderated by Mika Brzezinski co-host of MSNBC’s Morning Joe.